I hope that this note finds you well. We had a very successful, purposeful, and mission driven Catholic Schools Week. Two young men that I know you would love inspired a key lesson in an important faith-based day that concluded Catholic School's Week here at CM. Last week, Catholic Memorial held its third of four "Knight Days." Knight Days celebrate CM's mission to transform boys' lives through academics, athletics, arts, and campus ministry. As a culmination of Catholic Schools Week, this Knight Day focused on Campus Ministry and our Catholic Identity. Throughout the day, our faculty and Campus Ministry staff modeled for our students how we have an obligation to serve others. The goal of the day was to remind and encourage all students to become men of prayer, advocacy, service, and brotherhood. We began the day with Mass and then rotated through four ministry modules. During the rotations, our boys traveled in groups mixed by grade levels. This allowed our students to interact with students who they might not otherwise see during the day or during after-school activities. Over the past two years, we have done some amazing acts of charity that have had an impact on the formation of our students. Our top ranked varsity basketball team recently engaged in a powerful moment of God's love in our chapel and celebrated life as we buried a homeless veteran who had no family. As a school and guided by our mission, we feel called to do our part to advocate for the homeless and those that live on the margins in Boston. This calling inspired the theme of our Knight Day. At the first "Advocacy Simulation" station, students empathized with the homeless through experiential learning. In classrooms, they laid on the floor and considered their options: Where can I safely go after school? What will I eat today? Where will I sleep tonight? Students then listened to six unique individual experiences of homelessness, learning that many paths can lead to this one unfortunate outcome. At the second "Service Project" station, students packed a pair of socks (the most requested item by shelters) with toothpaste, soap, and other toiletries. These donations were bought by the students in our school through money that they raised throughout Catholic Schools Week. Our students wrote and included a letter of support in the care package that they created. At the third station, the "Building Brotherhood" station, students came together as brothers through teambuilding activities and recreation. These team building activities forged important relationships through physical activities. Brotherhood is an important part of how we build community. The last rotation was the "Faith Sharing Film" station, which included a film produced by students themselves, followed by a small group discussion. This film was about a current senior Giovanni (Gio) Rivera-Ferrara. You will remember Gio from last years Board meeting when he spoke. Please watch the short video about his life. We did this, in part, because we have a young man here with a similar story here who was also homeless until this past August. This CM student has been a true leader here. His life has been changed from his time here at CM. We are proud of the work and the lives that are transformed here. 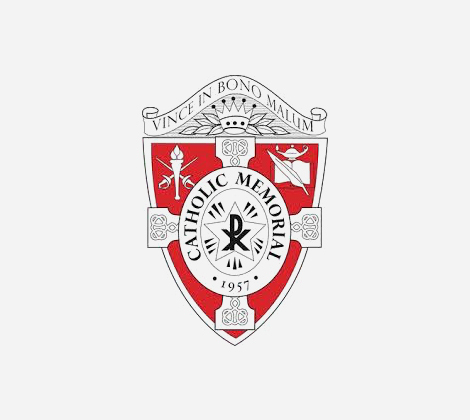 Knight Days like these emphasize how Catholic Memorial is willing to challenge the status quo on how to incorporate essential Campus Ministry themes of spirituality, service, and community into the lives of our students. This program and community that we have created is special and forward thinking in the best ways to engage with young men in today's world. These works are rooted in the Essential Elements of an Edmund Rice Education. We are a unique place that is doing great work that has a real impact. Thanks for your support of CM and the life changing work that we do here each day. I appreciate your time in reading and watching the content in this emails. Go Knights!